Meanwhile, Academy player Josh Murphy makes just his second start for the hosts. Jack McGrath will captain Leinster against Ulster tomorrow. JACK MCGRATH WILL lead Leinster at home for the first time, while Rory Best returns to captain Ulster in the sides’ clash in the Guinness PRO14 at the RDS tomorrow. Academy player Josh Murphy makes just his second start for Leinster in a side that is otherwise filled with familiar faces. In addition to Best’s return from an ankle skin infection that has kept him out of action since the clash with the Dragons at the start of December, Academy scrumhalf Johnny Stewart earns his first start for Ulster against the same team that he made his debut against off the bench earlier this season. The match kicks off at 5.35pm, with Sky Sports, TG4, BBC NI and RTÉ Radio all broadcasting it live. Email “Jack McGrath to lead Leinster as Rory Best returns for Ulster”. 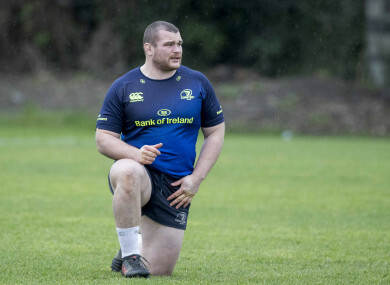 Feedback on “Jack McGrath to lead Leinster as Rory Best returns for Ulster”.